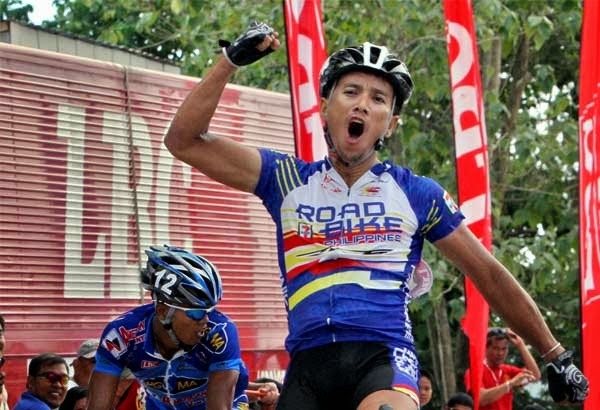 "I will do my best to protect my lead," this was the statement of Irigueño cyclist Cris Joven, who is competing in the Ronda Pilipinas International 2014. Ronda Pilipinas, considered as the biggest cycling tournament in the country, covers more than 2,000 kms through the island of Luzon. Participants in this tournament come from different parts of the world. At stake in the competition is a total cash prize of 8 million pesos. As of press time, Joven, of Team 7-Eleven is at third place in the overall KOM leaders white jersey category, with 14 points. In second place is Mark John Lexer Galedo, another Filipino, and in the top spot is Peter Pouly, a French rider. Joven again captured the attention of the cycling world when he topped the second leg of the ongoing competition. In an earlier statement, he said that he dreams of becoming the fourth Bicolano to win the prestigious tournament.